The Democratic National Committee voted over the weekend to ban donations from fossil fuel companies, HuffPost has learned. “We talk about how climate change is real and climate change is a planetary emergency, what we need to do is stop taking money from the institutions that have created this crisis,” said RL Miller, president of the super PAC Climate Hawks Vote Political Action and a co-author of the resolution. The coal mining industry gave 97 percent of its donations to Republicans in 2016 ― a figure that has dipped to 95 percent this year. While it's not a huge change in how the money is currently distributed, it will have a cascading effect as Democratic politicians find it increasingly hard to accept fossil fuel contributions, and then be influenced by those donations. I think it will be even more important at the state and local level, where we'll be seeing most of the climate action for the time being. And at some point the Ds will have the same control in Washington that they had for six months of Obama's first term, and this will give them more freedom to act. Physics is the simplest science, a hard won truth that Eli has reached after many years in many fields. A bunny can do a lot of physics with pencil and paper, maybe even without those if enough homework has been passed in and marked. This may seem, perhaps, a bit simplistic to some and mistaken to your average physicist, but consider, science is done through a mix of observation and computation. Physicists in the 17th century didn’t have to observe very much before they could start generating computational theories using pen and paper and testing them against observation. Physics is simple enough that one only need observe a few things before starting to build theories and compute results that could be compared to observations. Other areas, not so simple. Lavoisier put it well, you cannot have a science without an agreed nomenclature because without you cannot talk about anything. A useful working definition of science, a well liquored and tasty combination of observation, ideas and discussion. Just to pick the next simplest science chemistry, the nomenclature is voluminous, systematic though it might be, to occupy a huge database and committees of learned souls called together by the International Union of Pure and Applied Chemistry to deal with new discoveries. Biology is worse. A lagomorph might argue that biology began with Linnaeus’ nomenclature for living organisms and for quite some time stayed there. And then we have geology and the rest of the alphabet soup of the geosciences each with their own dictionary that has to be mastered. Eli conceptualizes this as the cladistic dimension. The physics dictionary is pretty thin by comparison except where physics meets materials and the other sciences bring their descriptive overload in. Computationally a lot of physics can indeed be done with pen(cil) or paper depending on how many mistakes are to be made. You can do damn near no chemistry with pencil and paper beyond simple physics applications such as thermo or stat mech. When Eli moved over to chemistry in the 1970s, theory was an object of derision and, as general chemistry today, required a series of rules, sequentially setting forth any number of simple models for chemical bonding and reaction following the historical development of the science. As each model was stacked on the next to extend them and handle myriad exceptions to each, students struggle. Why each of these simplifications works and their limits of applicability was not obvious, or at least not so until reaching the quantum basis of atomic and molecular structure. At that point, perhaps, when it became obvious how each of the historical models is an expression of quantum mechanics everyone, hopefully nods their heads and says "Oh yeah". By the 1970s computational chemistry was a hungry beast posed to devour computer cycles. The formalism was prepared and a few brave souls had seen the future, working out relatively simple cases on several reams of paper, or with mainframe heat pumps filled with vacuum tubes. The driving force is interesting. About twenty years ago it became clear that observation could never be complete enough to describe all the chemistry that was wanted. One could never measure any chemical process for all of the conditions possible and even if one could and could do a statistical parameterization of the results it would be flying blind because there would be no understanding of the underlying chemistry. It would all be handwaving, perhaps statistically valid handwaving but handwaving none the less, and worse, it would not be clear under what conditions the handwaving would fail. Computational chemistry, validated against observational chemistry is today’s gold standard. 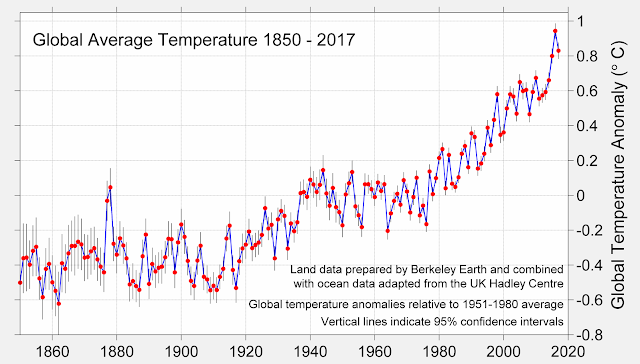 Eli would posit that atmospheric science has passed through this same progression enabled by computational forcing, but more so. Not only can we not make all the observations that would be needed to fully describe the Earth’s atmosphere, but absent a time machine and a large ensemble of Earth, or at least Earth like planets, we could never do so. 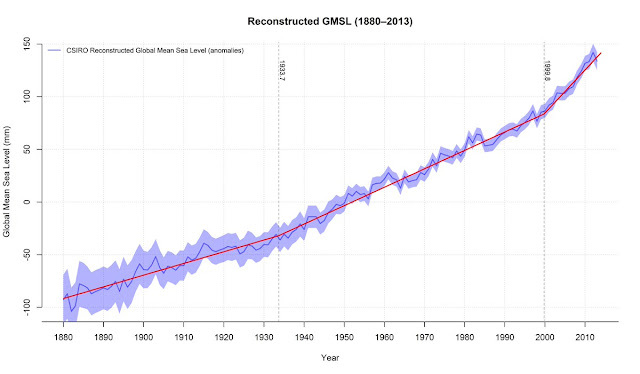 Thus Earth System Models, if you like Global Climate Models grown up. If a large data set speaks convincingly against you find a smaller and noisier one that you can huffily cite. carefully selected from the NOAA tides and currents data base.